If you were there, thank you for coming! If not, please join us next year in Brattleboro for the 4th annual Slow Living Summit (tentative dates): June 4, 5 and 6, 2014. What can you learn in the Slow Lane that you can’t learn in the Fast Lane? 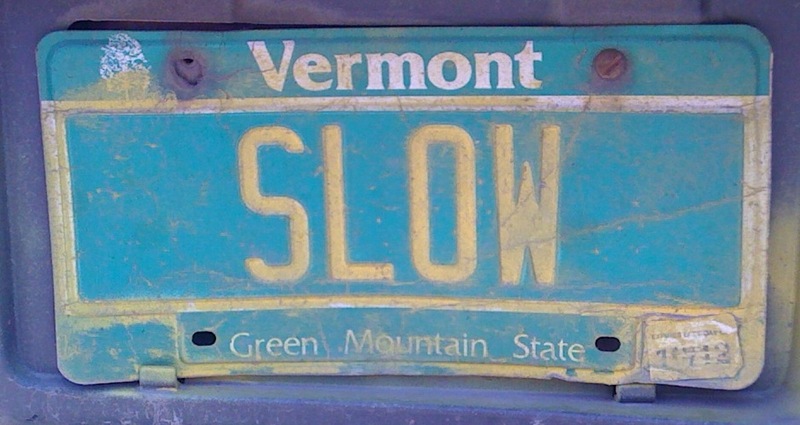 How can we learn to Live Slow? What inner transformations are necessary for Slow Living? What is Slow Design? What is Resilient Design? And how can the design of public spaces, buildings and infrastructure encourage interactions and strengthen democracy? How do we build resilient local food systems and food enterprises? How do local efforts at sustainable living and resilient communities help solve bioregional and global problems? How can a Slow Economy enable fulfilling, balanced lifestyles? What new models can help sustain co-ops and other forms of alternative ownership? And what about: sustainable aging, conserving and recharging our soil, building wealth in rural communities, and a host of other topics. 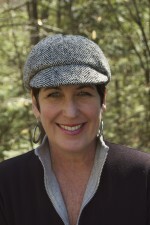 All plenaries will be emceed by Lori Hanau of Global Round Table Leadership, Keene NH. Lori will also lead the final plenary on Friday afternoon — an important group discussion on what we’ve learned about Slow Living and where we’re going: “What are the next questions?” Lori will also introduce, at each plenary, leaders of brief tone-setting moments, some of them with music, to help us be here now and be fully receptive. Wednesday evening plenary — The quest for sustainability: What do we do now? Judy Wicks — author of Good Morning, Beautiful Business: The Unexpected Journey of an Activist Entrepreneur and Local-Economy Pioneer; founder of the White Dog Café, Philadelphia; co-founder of Business Alliance for Local Living Economies (BALLE), as well as founder of the Sustainable Business Network of Greater Philadelphia and Fair Food. Jonathan Fogelson*, designer, Michael Singer Studio, Wilmington VT, designer and project manager of large scale landscape and infrastructure planning projects (www.michaelsinger.com); *NOTE: Michael Singer, previously scheduled to appear at this plenary, is unfortunately not able to attend. moderated by Chuck Collins Director of the Institute for Policy Studies program on Inequality and the Common Good. A full-group summing-up session, moderated by Lori Hanau,founder of Global Round Table Leadership, with musical participation by Erica Wheeler, Amelia Struthers and Mike Mrowicki. Check our detailed schedule for a complete rundown on all plenaries and the many breakout sessions. They also told us that in 2012, we had too much of a good thing — too many sessions, too many speakers, too much to digest, but not enough time for reflections, discussion, or even getting from one session to another. The Summit should Slow Down, we were told. And we heard you, loud and clear! That brings us to the 2013 Summit, which we are now planning (along with Stroll Weekend, the Vermont Farm/Food Business Plan Competition, the Tour de Heifer, and a new Vermont farm/food/forest product branding program). The Slow Living Vision is of an Earth where humankind, honoring and celebrating the profound connectedness of all people, places and living beings, gives back by co-creating mutually supportive communities, bioregions and economic systems — and where we combine the wisdom of the past with a vision for the future to ensure a balanced, fulfilling way of life for all generations to come. The purpose of the Summit is to model and advance the Slow Living Vision through a deep, mindful and collaborative exploration of key questions and problems facing our world and our communities. 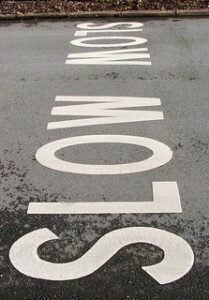 How do we move from the Fast Lane to the Slow Lane? And what can we learn in the Slow Lane that we can’t learn in the Fast Lane? What is the inner transformation necessary for embracing Slow Living? How do we work to bring about that transformation? What is the difference between a Slow Economy and a Fast Economy? How do we create more resilient communities and bioregions that adapt well to changing climate and other challenges created by Fast Living? The 2013 Summit will once again take place in non-traditional conference surroundings of Main Street, Brattleboro: the historic arts-nouveaux Latchis Theatre, Brattleboro’s River Garden public gathering space, the facilities at Marlboro College Graduate Center — with the vibrant public sidewalks that connect them serving as the conference concourse. Immediately after the Summit, Brattleboro goes full swing into it’s biggest event of the year, Strolling of the Heifers Weekend. “The Stroll” starts Friday evening, June 7 with a street festival on Main Street. It continues on Saturday, June 8 with a quirky and joyous celebration of local farms and local food, the famous Strolling of the Heifers Parade followed by the all-day, 11 acre Slow Living Expo. On Sunday, June 9, take part in the Tour de Heifer — a trio of challenging farm-to-farm dirt road cycling rides that begin and end at the Lilac Ridge Farm in West Brattleboro. 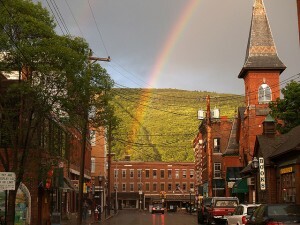 Come and discover Brattleboro — a small community in southern Vermont — renowned for decades for its commitment to healthy, local, sustainable living and technology, for its vibrant communities of visual and performance artists, craftspeople, poets and writers, and for the diversity of its shops, restaurants and galleries. Brattleboro is listed on many “top 10” lists including Top 10 Small Arts Towns, Top 10 Small Towns (Livability.com), and the 20 Best Small Towns in America (Smithsonian). In turn Brattleboro is a gateway to the Green Mountains and Vermont — a state renowned for innovation in small business, renewable energy, healthy living and progressive government.